What skills does Virtual Assistant acquire during working process with a virtual customer? Virtual assistant service is a profitable and effective decision for organizations of different sizes, it is very valuable for little businesses in particular, because their assets are limited and the budgets are often restricted. Entrepreneurs, who own small businesses, need to deal with their time wisely and concentrate on efforts that will lead to the fast business improvement and development. The virtual assistant takes a vital part in dealing with non-core issues. In this way, it helps to save time for business owners with taking care of non-essential, but still necessary duties. 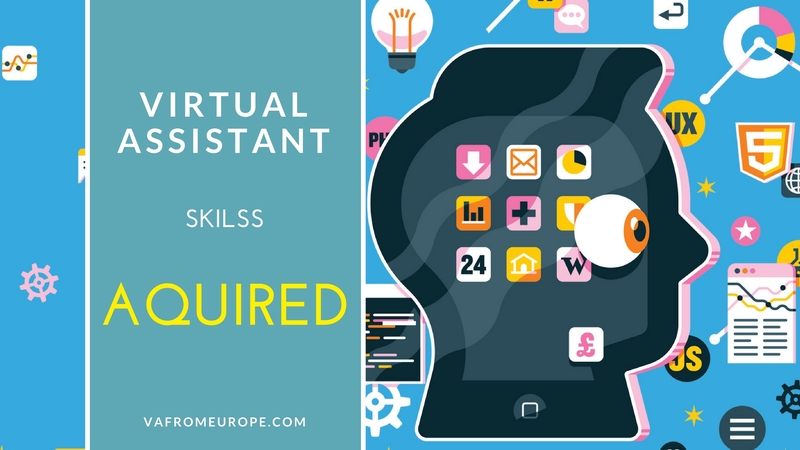 The work of virtual assistant is not just about helping with somebody’s administrative or supporting functions of their business, this work also requires a wide range of useful skills. 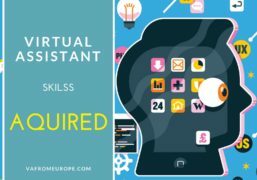 Among the endless list of them, here is a selected list of the most valuable virtual assistant skills. This is a standout among the most essential ones, and in fact it is the most widely recognized skill. A discreditable number of virtual customers reported they were disappointed with the work of negligent VAs, because they took the clients’ time and did not meet their requirements, or simply didn’t inform the client about the progress status. In some cases, VA had a conversation with customer and nothing after that. The VA just vanished, ignoring calls and messages, until the client discharged him and started to search another VA. Such behavior is absolutely indefensible and gives a terrible reputation for Virtual Assistance business. Then the other VA professionals have to deal with the customer’s uncertainty about the VA effectiveness. Being reliable is the fundamental skill in almost each industry. A customer needs to be well-informed by his VA about the work progress, and good VA will pay attention to such things as calling back or replying for an email as soon as possible. Considering the previous paragraph, good VA has to constantly inform the customer about the work progress. So, at the beginning of the working process it must be set up in which way and when the customer gets news from the VA. In addition, client has to be informed before VA starts every new task. Every client has different view on how and when he wants to be informed. Someone likes to have a status report on Mondays, someone is glad to simply get a notification about the finished tasks into a Dropbox, another ones can require news daily. The most customers prefer to get notifications by email, however, someone would like to communicate toward private Twitter messages, and such details must be taken into account. Most research show that we need to concentrate on one thing while working, so multi-tasking is wasteful, yet this is what VAs accomplish professionally! Of course, VA has to concentrate on one task to be done, but at the same time, skillful VA work with various customers proficiently. VA has various tasks to do in a day, so accurate planning is a necessary thing (leaving time for unpredictable issues). A good virtual assistant can determine exactly whether everything will be done in time. VA must get used to be asked about things he has never done before, then he simply must learn how to do them. VAs are highly valuable for the ability to make solutions and take care of all customers’ issues. This is the general advantage of VA service. If VA isn’t able to deal with an issue and discover how to accomplish all tasks, then it won’t be a proficient VA.
Customers don’t require the VA to know everything, unless it’s not VA’s particular specialty that he has to be confident in. The client has to be informed if the VA has never done that specific task before, but he’s interested to discover how to manage with it. A good VA is in a constant process of expanding own horizons. VA needs not only to communicate with the organization’s stuff, there’s also a need to ensure that customer understands what the VA do. Frequently a customer has no experience of working with VA and he doesn’t know how it works. Consequently, such customers have many doubts about VA’s capacity to solve their issues. New customer is most likely to look for the VA who will help him with this procedure. So, skillful VA has to be with high communication skills to communicate correctly and explain the client how such system of work is functioning. Also, there can be stressful situations, when the client could be nervous or anxious, the VA needs to know how cope with difficult situations. Considering the listed skills above, being a good VA is not so easy, as you have thought before. It turns out that to find a qualified specialist can be quite complicated. If you take notes above into consideration, you will have more chances to get a proficient VA for your business.